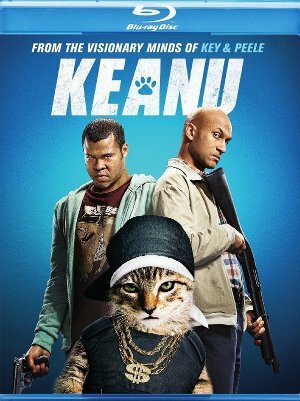 Written by and starring comedic duo Key & Peele, Keanu feels like most movies based on sketch comedy. More a collection of gags than a truly engaging story, the film offers the basic set-up of two regular guy thrown into desperate circumstances through no fault of their own when a gangster's kitten shows up on Rell's (Jordan Peele) door. When the cat is stolen the pair will struggle to play the roles of drug dealing killers to get little Keanu back. Like most sketch comedy films, the results are mixed at best. Although several of the movie's jokes work there are just as many that don't hit their mark. Despite the undeniable cuteness of the kitten, the film's weak premise may offer plenty of opportunities for the pair to act like fools but that doesn't necessarily translate into a coherent or entertaining film. Available on Blu-ray and DVD, extras include an interview with the film's feline star, deleted scenes, and a gag reel.